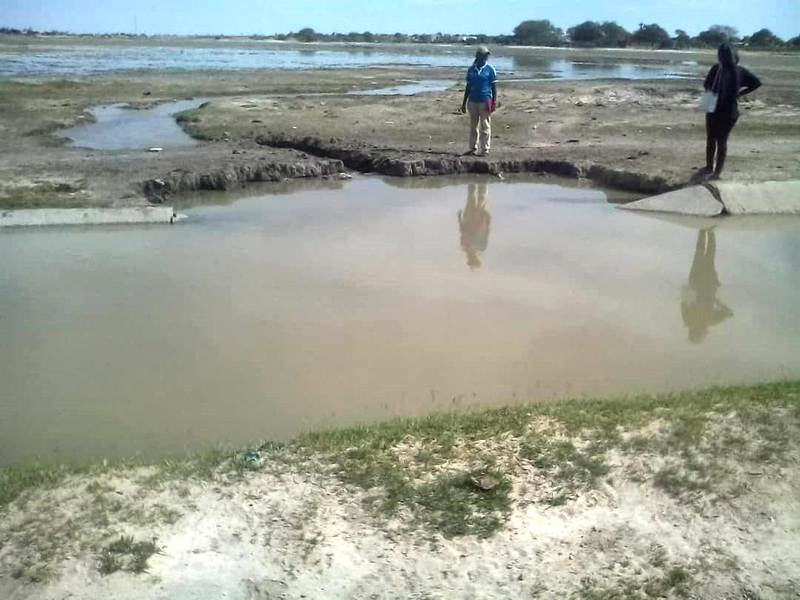 VANDALISED: The NamWater canal where it was deliberately vandalised near Oshakati to release water into the oshana. NamWater was duly informed and the damage was repaired a short while later. PIPELINES and the water canal from Calueque supplying water to various far northern communities is under attack by desperate farmers and communities diverting water to natural pans and waterholes to mitigate the effects of a devastating drought on the Angolan/Namibian frontier. The current drought affecting the Northern regions is proving costly to the Namibia Water Corporation (NamWater) due to a recurrence of vandalism caused to the canal that channels water from Calueque in Angola to the water purification plant at Oshakati. According to NamWater’s head for the Northern regions, Dr. Kaliki Kambanda, water pipelines are also being targeted by people suspected to be livestock farmers. 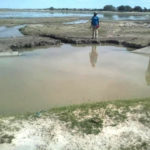 The canal and the pipelines are damaged in such a way that water is released en mass into the dry oshanas where it becomes available to the malnourished big and small livestock. “Damaging the water canal and the water pipelines is a criminal offense; it costs us a lot of money and negatively affects our water distribution efforts,” she said. She stressed that such kind of vandalism is becoming common, mostly now that the northern regions are experiencing severe drought. She noted that NamWater is currently busy with an information campaign to warn the public against vandalism and its negative effects, as well as to urge members of the public to report vandalism on time so that repairs can be done promptly.